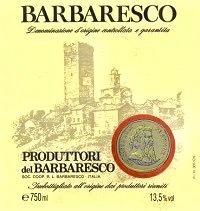 2015 Produttori del Barbaresco Barbaresco - $31.99: Vins Rare, The finest selection of rare wines. "Aromas of flowers and cherries engulf the nostrils. Very feminine, almost light on its feet despite the alcohol level. On the palate, the red floral fruit gives way to a wall of soft tannins and a powdery cocoa finish."